Barrel: 20″ Heavy 416R Stainless Steel barrel chambered in 6.5 Creedmoor with a 1:8 twist rate and rifle-length gas system. 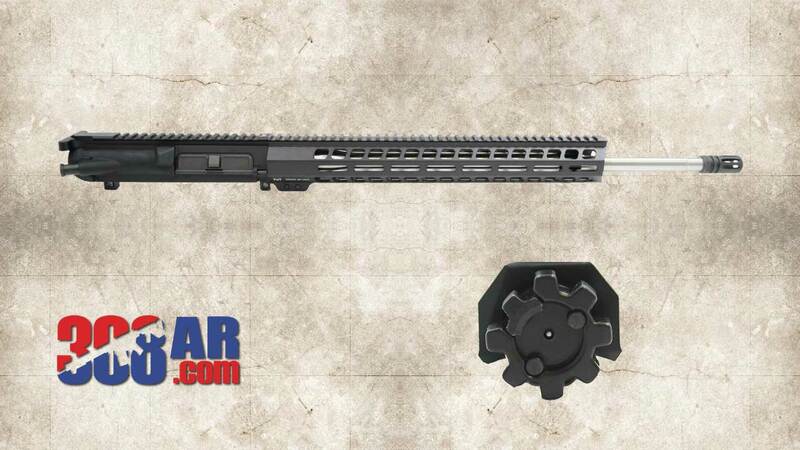 Upper is paired with a Palmetto State Armory 15″ Lightweight M-Lok free-float rail for enhanced accuracy, low profile adjustable gas block, and an A2-style muzzle device. **These uppers are designed to work with the PA-10 platform and as such, will function with existing Gen1 & Gen2 PA-10 lower receivers. In order for a better cosmetic appeal, we recommend using all 6.5 Creedmoor uppers with Gen2 PA-10 Lowers or PA-65 Lowers. The Gen2 6.5 Creedmoor was engineered to enhance the cycling and reliability of the 6.5 Creedmoor platform. The result was a new style Bolt Carrier Group with double ejectors to further evolve the reliability of this platform.